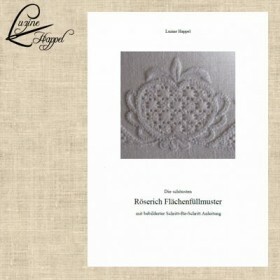 The “Röserich” is one of the most prominent stitches in Schwalm Whitework. The name itself, Röserich, denotes importance and grandeur. It is often combined with other stitches to make stunning filling patterns, but it is also seen alone. 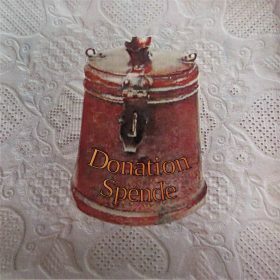 The most famous and most prevalent variant is the pattern shown on the picture on bottom. The Röserich patterns are effective in different shapes. They are a little bit intricate, but following the steps carefully the design will turn out well. Working on this project, I experimented and discovered more and more nice Röserich patterns – very different, but always beautiful. There are patterns for small shapes as well as large shapes, striped patterns, patterns worked on the straight of grain or on the bias, and patterns suitable for circles – 17 different patterns in all (some presented in two different variations)! So, I decided to make a downloadable booklet to present the different Röserich variants in great detail and with step-by-step instructions, and to share with you the patterns that I discovered. 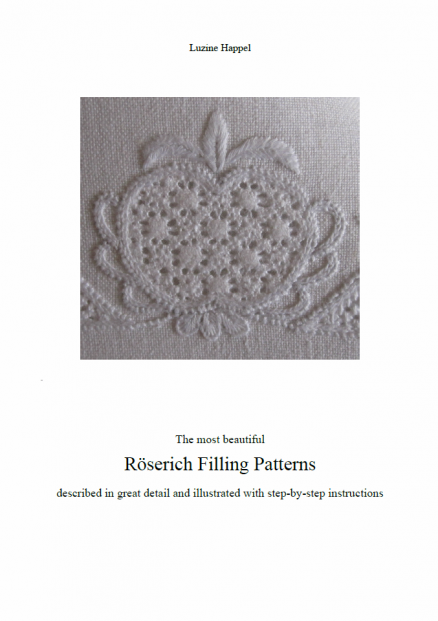 I know you will want to learn more about this grand and important Schwalm Whitework stitch! Please note that it is assumed the embroiderer is already familiar with the basic Schwalm Whitework stitches. If you need those instructions, please see “Basic Principles of Schwalm Whitework”.